The 2 Park, 1-Day Park to Park Anytime Ticket entitles guest admission to BOTH Universal Studios Florida™ AND Universal’s Islands of Adventure™ theme park on any one (1) calendar day. This ticket is valid ONLY from May 25th - June 10th, 2019. 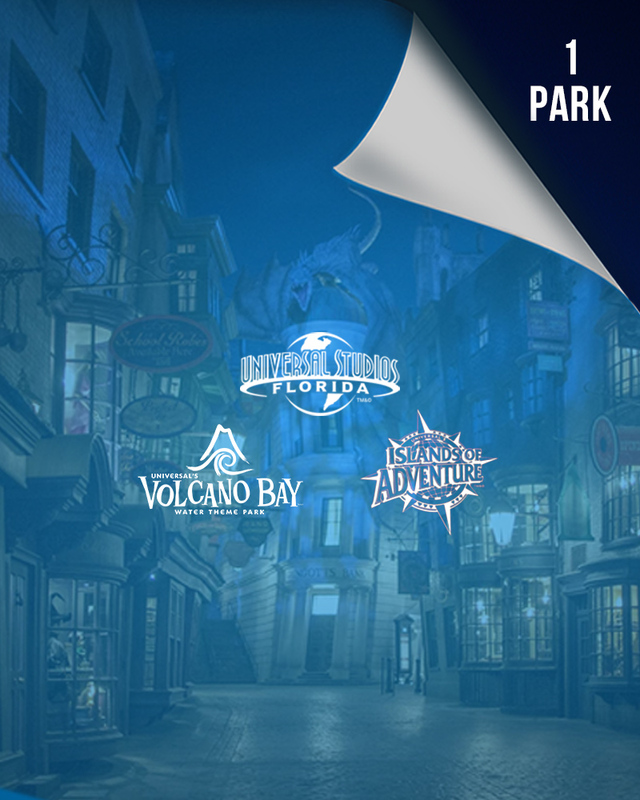 The Universal Orlando® 2-Park 2-Day Universal - Park To Park Ticket entitles one (1) guest admission to EITHER Universal Studios Florida or Islands of Adventure per day. Ticket is valid for any two (2) calendar days during a seven (7) consecutive calendar day period which includes the first day any portion of the ticket is used. This ticket also includes seven (7) consecutive calendar days of admission to the paid entertainment venues of Universal CityWalk®, which commences and includes the first day any portion of the ticket is used. This ticket is valid ONLY from May 25th - June 10th, 2019. Unused days shall be forfeited.